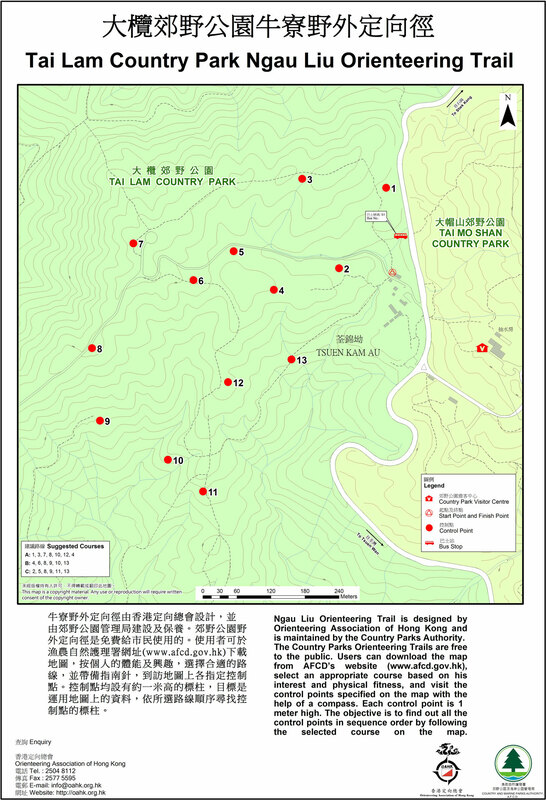 Country and Marine Parks of Agricultural, Fisheries and Conservation Department and the Orienteering Association of Hong Kong developed five new orienteering trails, which are free to access to public. You can download the maps, bring with a compass and whistle, go to the orienteering trails at any time and select an appropriate trail and enjoy orienteering. 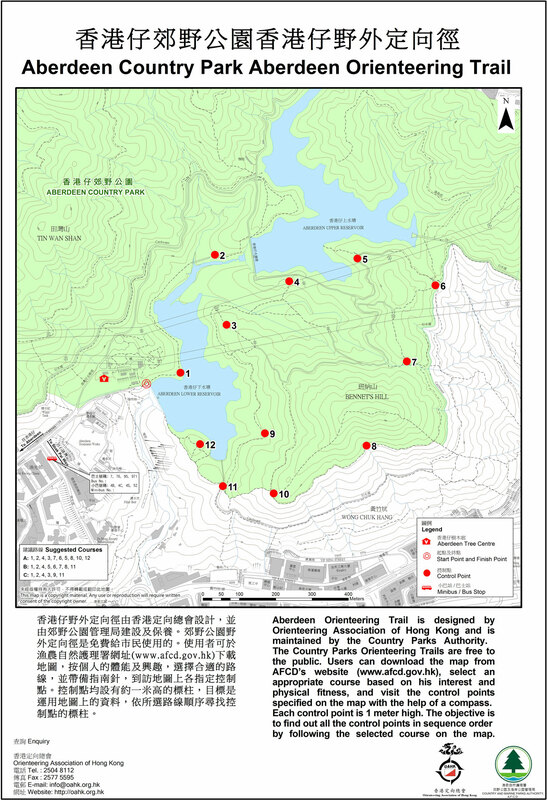 You may also download information leaflet about the steps ans safety hints on how to use the Orienteering Trails. Start & Finish Points: Aberdeen Country Park Visitor Centre, walk up from Yu Kwong Road, Aberdeen. Course: 15 control points, 3 recommended course. Start Point: Walk up from Mount Parker Road, Quarry Bay. Finish Point: Near Breamer Hill. Course: 11 control points, 3 recommended courses. Course: 16 control points, 3 recommended courses. Start Point: Near Camp Site of Wan Tsai Ferry Pier. 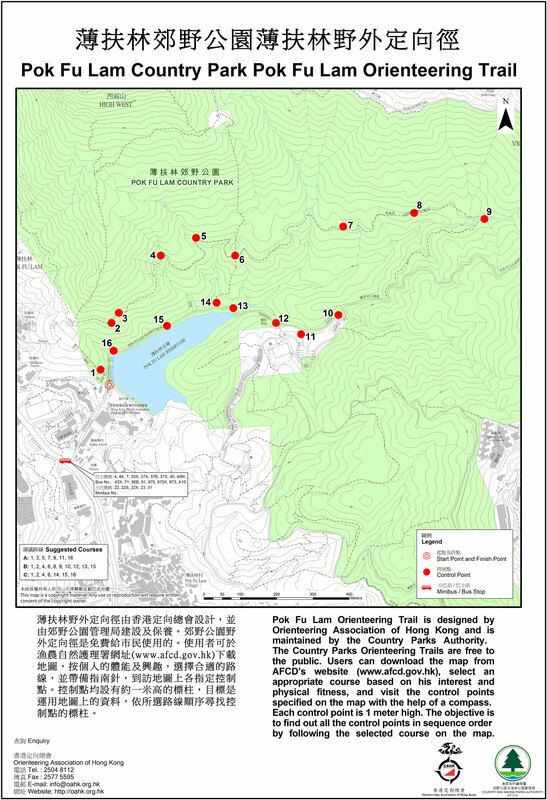 Finish Point: Wan Tsai South Camp Site. 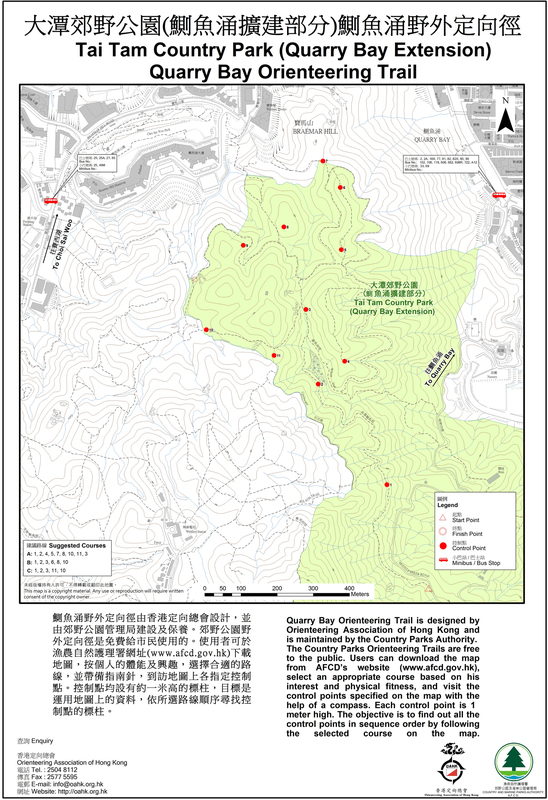 Start & Finish Point:s Near Ngau Liu Country Park Management Centre, walk in from Route Twist Tsuen Kam Pass. Course: 13 control points, 3 recommended courses.